Blue stands for peaceful harmony and exudes confidence. There are a lot of blue tones which can create as much drama, elegance and moodiness as black does. 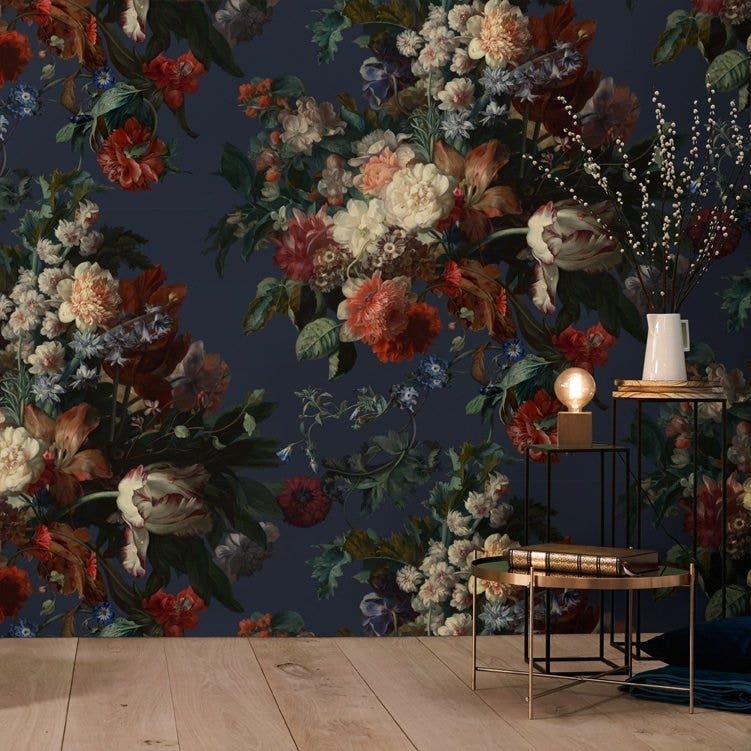 If you're not sure about an entirely blue room, just try for example Ellie's newest wallpaper A Golden Age Luminous Blue XL. Ellie believes that walls can do more than just delineate spaces and hold up ceilings … walls can be art! Walls can have meanings; walls can have (and create) moods. Paired with blue accessories like blue flowers, candles or cushions and wooden details, you can create a peaceful ambiance in your home. There's also the option to cover your windows in blue or create accents in blue. Keep an eye out for this print on our sumptuous Velvet, coming soon to the shop by the meter and on a series of luxurious cushions. Perfect for moody and romantic curtains, or your coziest couch. Blue creates an atmosphere of purity and serenity. Wishing you a happy Blue Monday!